Gabby Gingras' story has been viewed around the world. 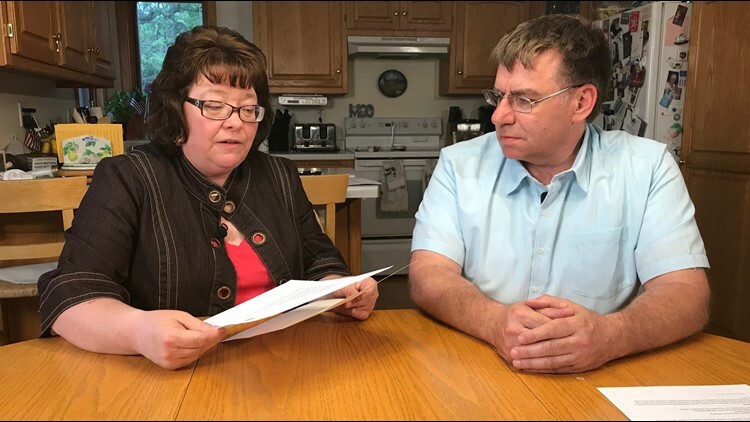 What her doctors deem as necessary surgery is being denied payment by her health insurance company. Editor's Note: Since the story originally aired, two GoFundMe sites have been established. Donate to Gabby Gingras’s Smile here. Donate to Smile fund for Gabby Gingras here. BIG LAKE, Minn. - In 2004 the story of the 3-year-old girl from Minnesota who doesn’t feel pain spread around the world. 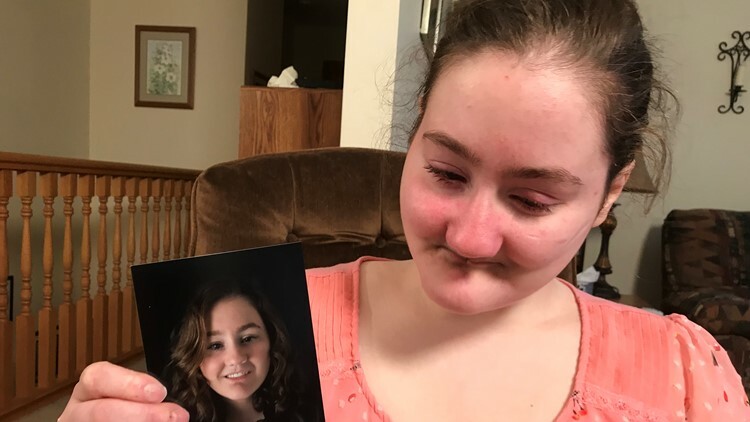 Now, about to graduate from high school, Gabby Gingras still can’t feel pain – but that doesn’t mean she’s not hurting. “I need a healthy mouth to go the rest of my life,” Gabby said. Today, the 17-year-old and her parents find themselves in a dispute over Gabby’s mouth, pitting her Mayo Clinic doctors against her father’s employer-provided health insurance company. Gabby’s mouth suffered permanent damage, because, as a young child, she had no pain sensors to protect it. As Gabby’s baby teeth came in, she mutilated the inside of her mouth. Gabby was unaware of the damage she was causing because she didn’t feel the pain that would tell her to stop. Her parents watch helplessly. Only a few dozen people in the world have Gabby’s condition, congenital insensitivity to pain with anhidrosis. Her doctors had never heard of it. No support groups existed to help guide her parents, who felt helpless as they tried to navigate an ever-changing set of circumstances they were unequipped to handle. The teeth Gabby didn’t break off biting on toys, were removed by a dentist to put an end to the carnage in her mouth. Pain also keeps babies from putting their fingers in their eyes. Without pain to stop her, Gabby scratched her eyes so badly doctors temporarily sewed them shut. Today she is legally blind because of self-inflicted childhood injuries. But it’s Gabby’s mouth about which she is most concerned as Gabby prepares to start college this fall at University of Minnesota-Morris. Gabby wants what any young woman in her shoes would want. She wants teeth. “I can't eat basically any meat, anything crispy,” she says. Raw, hard fruits and vegetables like carrots and apples are also off limits. Gabby’s doctors at the Mayo Clinic have a plan to rebuild her deteriorated jaw with grafted bones from her hip, into which they would implant new teeth. But Gabby's insurance provider, Aetna, is refusing to pay. In a letter addressed to one of Gabby’s physicians, Aetna said the procedure is not covered under Gabby’s insurance plan. “The Plan covers only those services and supplies that are medically necessary,” the letter states. Twice Gabby’s parents have appealed Aetna’s decision and twice their appeals have been denied. “There are no other options for her, there are no options for dentures because there's not soft tissue, there's not structure left for her. This is the only option for her,” Trish Gingras, Gabby’s mother, said. Her father wonders if the response by Aetna would be different if Gabby’s mouth had been damaged in a car accident. “It's not because she didn't brush her teeth that her mouth doesn't work right. It's not because of anything she did - smoke crack or anything like that - to end up with the mouth she has,” Steve Gingras said. “It's a condition that she has that is unavoidable and we're asking them to step up and do what they're supposed to do. Gabby is especially sensitive about the impact her lack of teeth has on the way she speaks. “It just changes what people think of what I say, and I hate that,” she says. The Mayo Clinic showed some heart, molding Gabby temporary plastic teeth so she could smile for her senior portraits. Gabby's dreams are simpler than most, as basic as looking, speaking, and eating like everyone else. “Her one big wish was, bite an apple,” her mother says. It’s something Gabby has never been able to do. Medically necessary is still open, it appears, to debate. Gabby just wants what's necessary to be a normal, functioning, human being. “It would be what I need to move forward,” Gabby says.